By the time men have reached the age of 70 or 80, they probably expect to have significantly less testosterone than they did when they were 30 or 40 – and usually they do, because most hormonal levels progressively decline in adults as they age. But what is the cause of low testosterone levels in younger men? With the incidence of Low T on the rise, and occurring in men at younger stages of their adulthood, doctors are being asked about the health implications of testosterone deficiency more frequently and by a younger group of men than previously. This is due to a statistical change that has not gone unnoticed by the medical community; medical researchers and doctors, particularly those who specialize in the treatment of adult-onset hormone disorders like Low T, have noted and referenced the increase in younger adult patients with symptomatic testosterone deficiency. Numerous studies have been undertaken, and continue to be, with the goal of pinpointing the reasons for this change. Doctors have known for decades that certain illnesses, such as pituitary gland disorders, type 2 diabetes, and chronic kidney or liver disease, can lead to the development of a medically significant testosterone deficiency. They also know that this disorder can be passed on genetically; they are aware that some of the diseases that are genetic in origin, such as Kallmann syndrome, Prader-Willi syndrome and Myotonic dystrophy, can lead to serious testosterone loss. But as medical researchers continue to investigate what is the cause of low testosterone levels in younger adult men, what have they already learned? There appears to be consensus on a number of potential primary and secondary causes. Increased exposure to chemical, environmental toxins, and higher stress levels have all been shown to have a detrimental effect on testosterone levels in various studies. The bottom line is that more men, among a wider range of adult ages, are becoming afflicted by the symptoms of Low T. Fortunately, the medical treatment for this disorder is going to be effective and safe for a majority of them to use. In diagnosing testosterone deficiency in men of any age, a doctor with expertise in TRT programs is going to base their medical evaluations on two key factors, which are symptoms and the results of highly specific blood testing that measures testosterone levels. 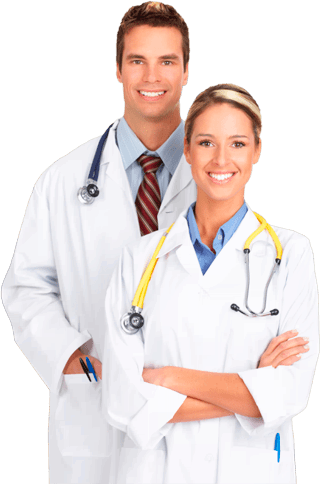 A medically responsible physician is also going to insist on a medical exam to assess the patient’s current condition of health as well as a careful review of the patient’s medical history. Experienced TRT doctors are also going to be particularly sensitive to prescribing treatment for men who still have an active interest in fathering children, since the use of any form of bio-identical testosterone substance can reduce fertility. This is an example of why it is as important to understand the possible repercussions and potential benefits of treatment for Low T as it is to have a general understanding of what is the cause of low testosterone levels in men of various ages. Yet doctors do pay particular attention to a patient’s symptoms because regardless of the patient’s age, the male hormone deficiency symptoms that he will experience will be very similar to those experienced by other men with this disorder. Having any or all of these symptoms, in combination with blood test levels that fall below 300 ng/dL, is generally considered by TRT doctors to be an indication of testosterone deficiency. Assuming that nothing in the patient’s health history or current condition contraindicates the use of a doctor prescribed program of supplemental testosterone treatments, such as benign prostate disease or prostate cancer, for example, experienced hormone therapy doctors will then determine the optimal dosage and form of Low T treatment for a patient to use. Is TRT the Only Effective Way to Increase Low Testosterone? 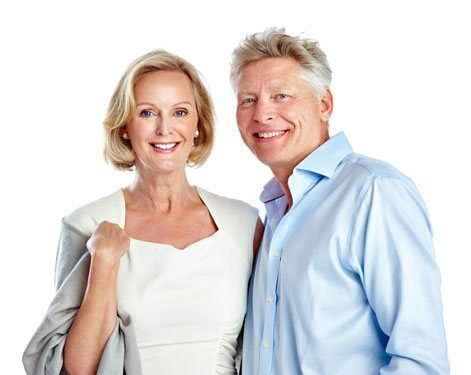 Testosterone replacement therapy has been in medical use for more than 50 years, which means that it has been around for longer than many of the men who are now afflicted by the symptoms of Low T. It has been shown by numerous clinical studies that the use of TRT in one form or another is the only effective means of reversing this specific type of hormonal deficiency, which can also occur in women, especially after menopause. There has been no clinical evidence produced that shows the use of so-called testosterone supplements or other non-prescription remedies have any ability to increase Low T levels. Some of them claim to know what is the cause of low testosterone levels, as though there was one universal cause that applies to all men; others claim that their herbal supplements will increase the male hormone levels of any adult who uses them. The claims that have been made by those who manufacture and sell these products have not been proven by medical science or research; thus doctors believe, because they deal in medical facts and not fiction or hype, that these products are essentially a waste of money. Yet this doesn’t mean that there is nothing you can do to support the extension of healthily balanced testosterone levels; there are a number of health habits that enhance the preservation of your male hormone production. If you smoke, you should stop for many reasons – and it will also help to protect you from developing Low T. So will moderating your alcohol intake; getting plenty of exercise; maintaining a healthy weight; and making an effort to reduce the amount of stress in your daily life. Obviously these are common sense measures that can also enhance your overall state of health, and they can be implemented without knowing what is the cause of low testosterone levels. However, for men who have developed chronic Low T symptoms, the most effective means of reversing them is to (1) get clinically tested for male hormone deficiency, and (2) if you are diagnosed with Low T, follow your TRT doctor’s advice on what your appropriate course of therapeutic treatment should be. The most widely prescribed forms of treatment are the injectable forms, such as testosterone cypionate and testosterone enanthate, which have been used by patients for decades. With the introduction of the topically applied forms in recent years, some men are opting to try one of these forms first; however, thus far they have not proven to be as effective as the use of bio-identical testosterone injections.